Im not going to lie, I am so ready for the joys of Christmas this year! I think that this year, I truly have an understanding of what it means to value the small things and take the time to slow down and appreciate life. It seems to be moving so fast and I want to make sure I loved my days to the fullest when I turn 80. One of the ways I do that is to enjoy the hustle of the holidays. Every morning this time of year my kids jump up with excitement and joy. They want to know where the elf is hiding, what’s in the advent calendar, and how much longer until Christmas Day. I know these years are fleeting, so I will do whatever I can to enjoy it now! This past week has included decorating, shopping, emails about teacher gifts, and even a cookie exchange! I was so in love with my holiday designs for Cricut that I have been integrating them into EVERYTHING I can!! I hope you love them as much as I do! 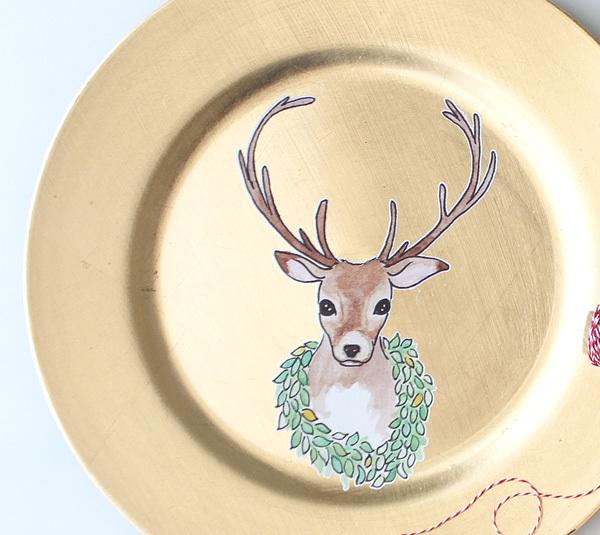 I had painted this sweet deer and used him at the center of so many things! 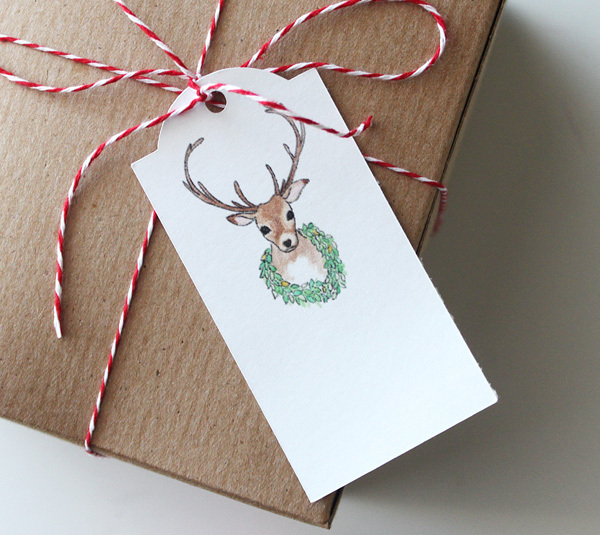 Once he was painted, scanned in and cleaned up, I used the design to create some sweet seasonal print and cut designs! I loved him so much on his own, that I had to offer it just as the head and wreath! 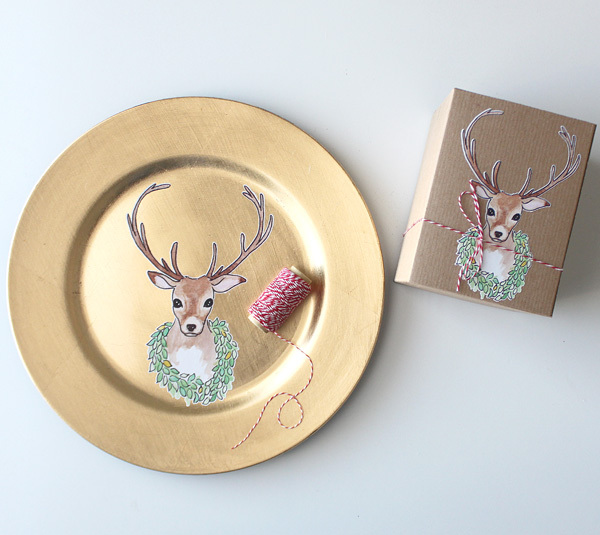 I used it to decorate wrapped gifts and on a platter! Use your imagination and you could make all sorts of amazing things! Head over to Cricut HERE to get the design for yourself! 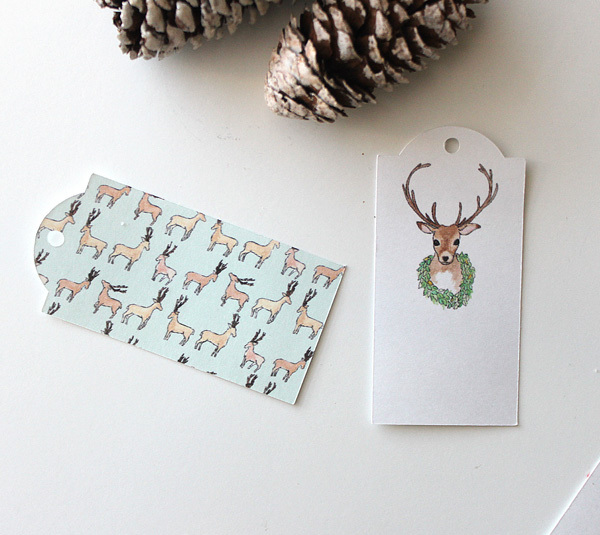 Next up, I took my little deer and I decided to make labels! I have labeled everything! I even made a big one for as iron on for a personalized pillow cover! 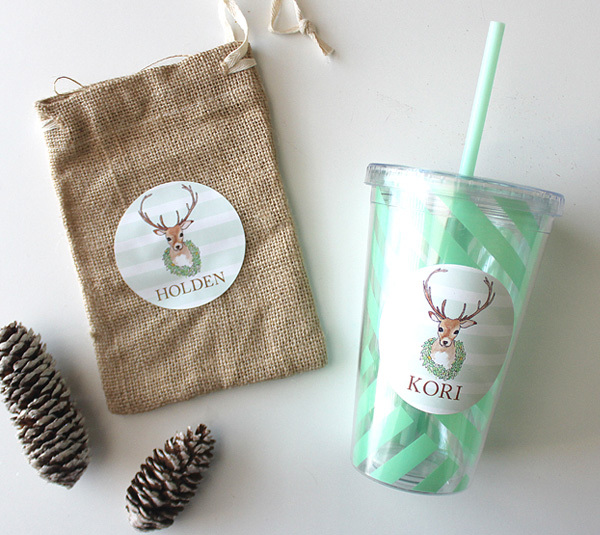 One label I printed on vinyl and put on a cute cup, and a few I printed on sticker paper for gift bag labels. 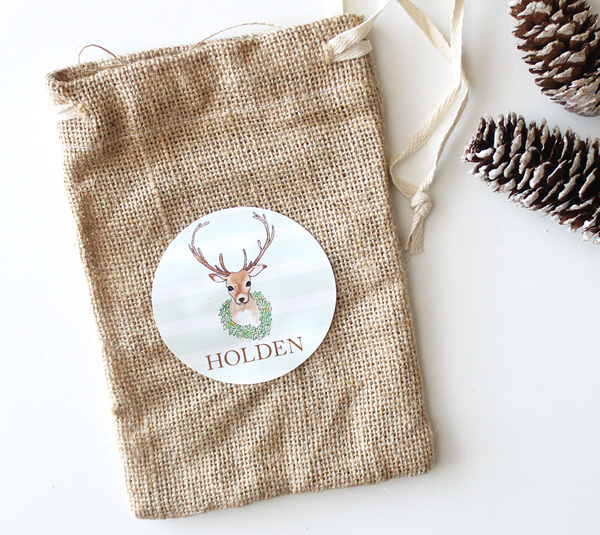 I also plan to use them as place cards in little place card holders! 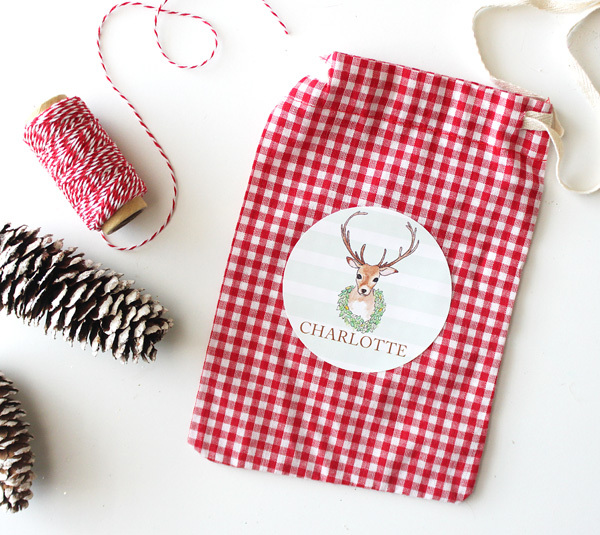 Head over to Cricut HERE to get the labels and start labeling everything yourself (at least to make me feel better)! 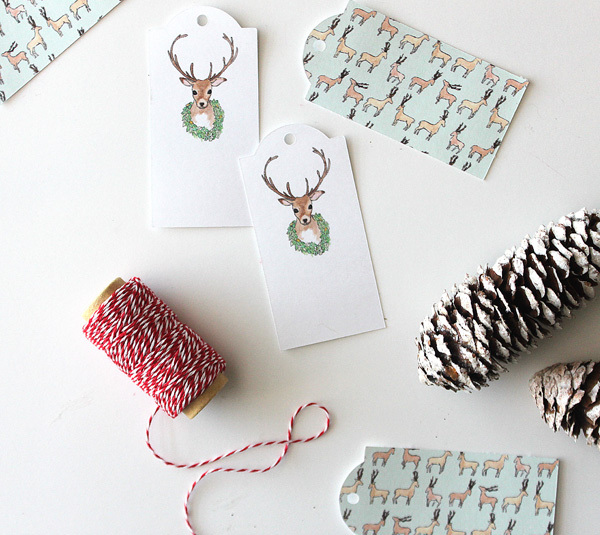 Finally I created gift tags! I used the same reindeer watercolor and I also illustrated and watercolored a pattern of reindeer which I am so excited about! They coordinate with each other perfectly! You can find the tag design on Cricut HERE! 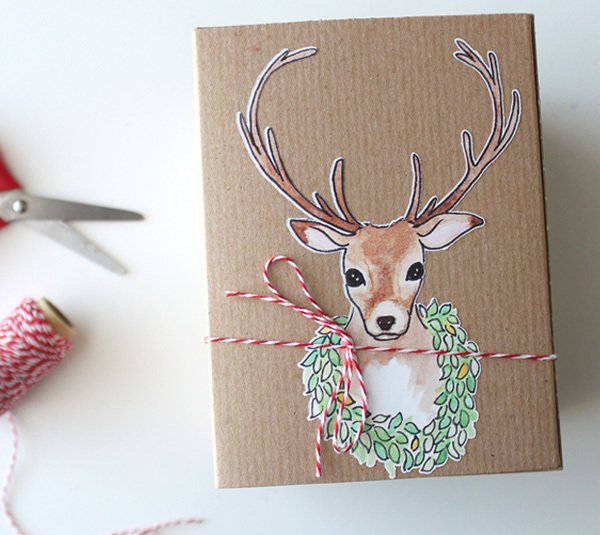 I hope you love my little reindeer and are off to a great start to December! Visit Paperstyle to see my invitations and card designs available!